Free Ride - Explore the world by yourself or with your friends online. Waypoint - A fan favorite available for the first time with the Alive environments. Find the quickest path to reach all of the gates before your competition does. Rip, jump and scrub your way on more than 30 tracks and try to cross the finish line first against more than 60 official riders to attain all that motocross glory. 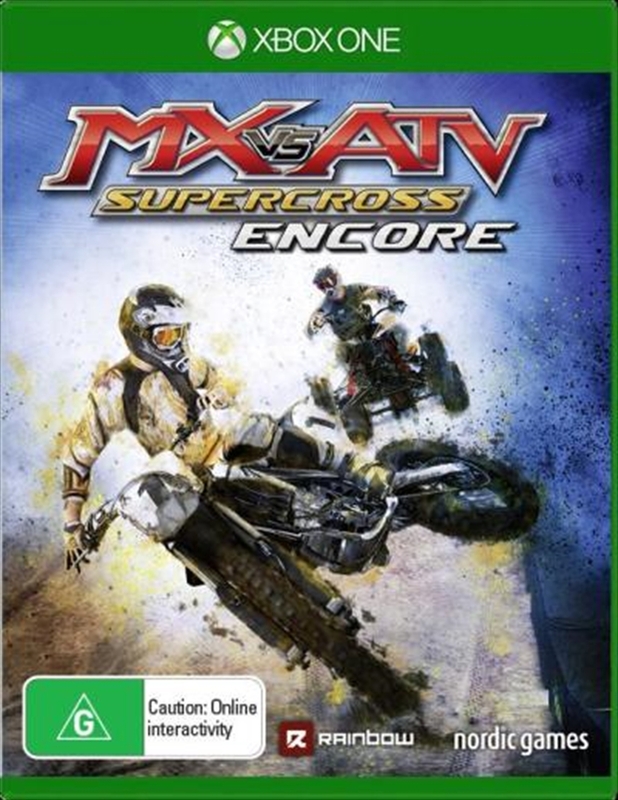 Choose between bikes or ATVs, multiple game modes including Career, Single races, Freeride, and online multiplayer events with up to 12 players. Perform amazing tricks to impress your fans or just "whip" over jumps to finish the race first. Customize your rider with items from numerous licensed motocross companies to kick up dirt and dust on your way to victory. 5 Rhythm Racing tracks - A new game mode and first for the MX vs. ATV series. Drag race your friends down straightened out Supercross dirt tracks filled with obstacles and jumps. Practice your Rhythm Racing by yourself in single player or take on your friends online and with split screen racing. Updated high-res rider models, bikes, and track textures which are rendered in true HD. The entire audio system has been re-mastered which includes adding in for the first time 3D positional and new environmental effects. This new audio results in a more clear and immersive high definition experience for the player. Introducing a tutorial section explaining controls and pro tips offering guidance for newcomers to the series. Brand new 2015 apparel and graphics kits.